Free Resource: Quick start guide to FDA Food Label Regulations. 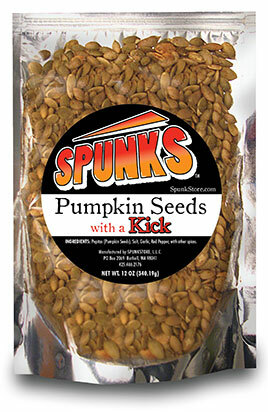 At Advanced Labels NW we have the experience and expertise to produce all of your custom food labels. With many label material and adhesive options to choose from, self-adhesive food labels can be provided on rolls for hand or label machine application. We provide custom food labels on wet strength semigloss paper, gloss paper or polypropylene film with the appropriate adhesive to meet any unique cold temperature requirements. We treat every label order as a unique and custom project, engineering a self-adhesive food label to your specific needs. 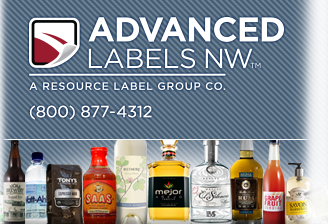 Whether you need candy labels, custom bakery labels, food ingredient labels or nutritional labels, Advanced Labels has the solution you are looking for. We always protect our custom printed food labels with a clear film over-laminate or a topcoat varnish to create a durable, water-resistant label that lasts. Food labels produced by Advanced Labels will represent your brand well at retail. For a unique richly textured solution for food labels, we offer Simply Textured™ film labels. Available in 8 tactile textures, Simply Textured™ is an exclusive offering that brings the tactile luxury of traditional wine labels to your food packaging. Printed samples are available free of charge– order yours today. 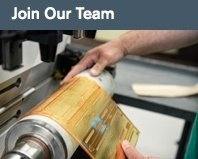 We utilize the finest state-of-the-art label printing equipment including digital direct to plate technology. Our digital printing for smaller quantity label runs for multiple SKU's is an added bonus for smaller food label printing projects. We also offer custom label printing with hot foil stamping & embossing, and up to 10 color printing including high quality 4-color process. 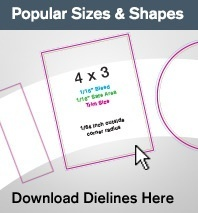 We offer Extended Content Booklet Labels to enhance your existing custom food labels and add up to 6 times the extra space for additional information such as recipes, special offers or promotions. We also produce IRC/Coupon labels for point of purchase redeemable coupons, or we can implement our Extend-a-Label 2-ply label product with your existing label design, which provides added space for up to 3 times the extra text. These innovative label solutions allow our customers to include content such as multiple languages, discounts, and nutritional facts information on labels with space limitations. 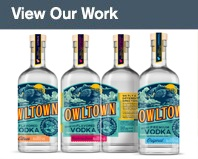 Our talented label design department can assist you with your custom printed food label design, typesetting copy revisions, and evaluating your nutrition facts information for FDA approval. Our knowledgeable customer service staff will guide you through the appropriate food label material choices (to exceed your label product requirements), while staying within your label budget. Get started today! Give your custom food labels a unique advantage by having Advanced Labels produce a winning label combination for your food product. Contact us for a custom food label or candy label quote and free label samples of our work. Looking for inspiration? Visit our Product Gallery.